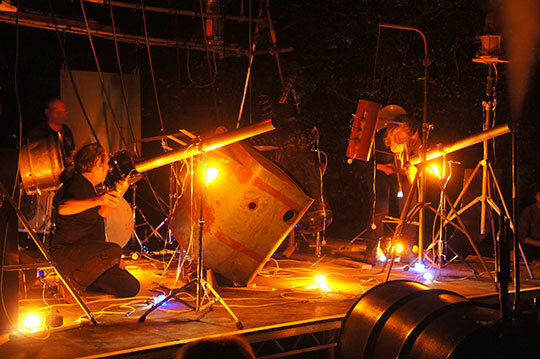 The performance involves Anne and myself operating a number of hand made sound generating instruments in an exploration of acoustical range and dynamics as a musical communication with each other. 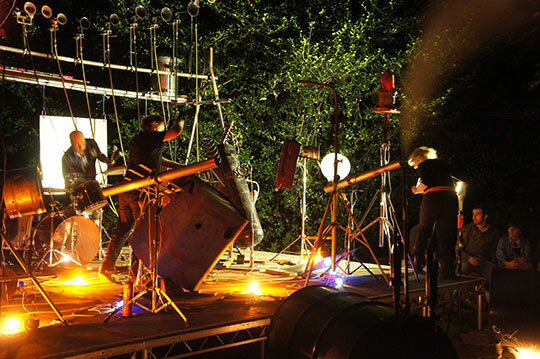 In the same way as speaking requires a good deal of improvisation we also will be creating an unrehearsed delivery in sound, actions and visuals. 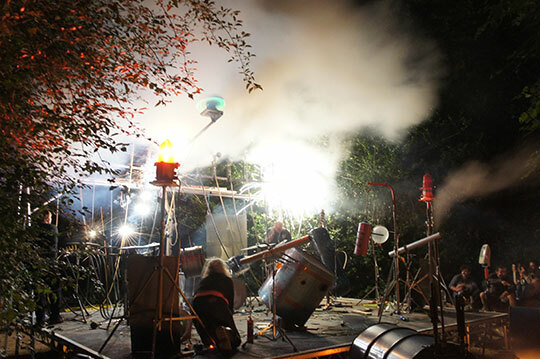 Our set comprise a number of non historical instruments that Anne and I operate as much as play and range from manual operation to steam and compressed air powered. 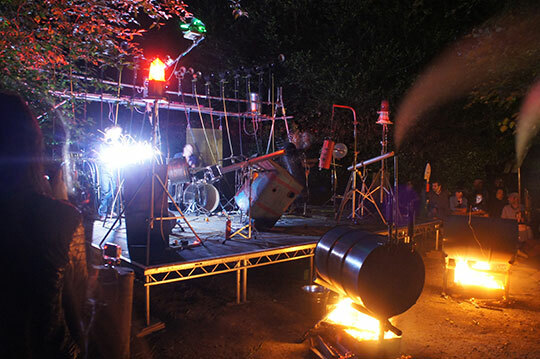 X8 air horns, x1 oil drum boiler and 5 chime whistle, x1 cymbal tree + welder, x1 spring gong, x1 marimba, x1 small percussion chime, x1 hand cranked siren, x1 pair of wuhan hand cymbals, x1 frog, x4 wooden blocks, x1 beer barrel bell, x2 flashing buoylamps on stands, x3 sets of flashing coloured bulbs, x1 PA inc mic and stand.